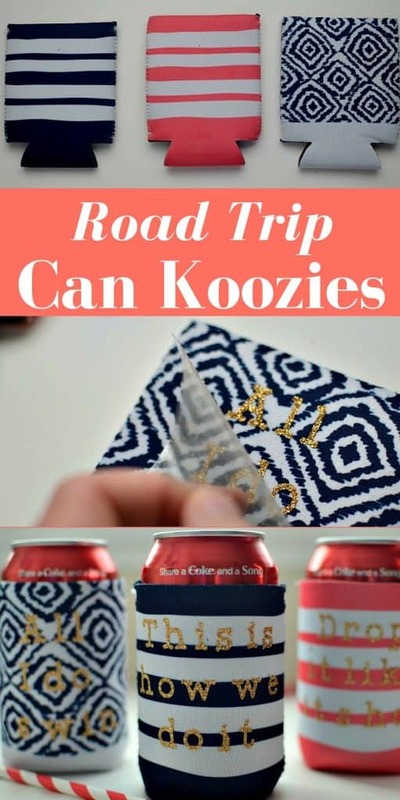 Keep your drinks cold on your next road trip with these easy to make can koozies. Do you have a song that reminds you of a special time in your life? Music brings back so many memories for me; from country songs that we sang over and over on family trips to the hip-hop and punk rock anthems we sang at the top of our lungs on those college road trips to Vegas. I love all the emotions that come back when one of those songs comes on the radio. 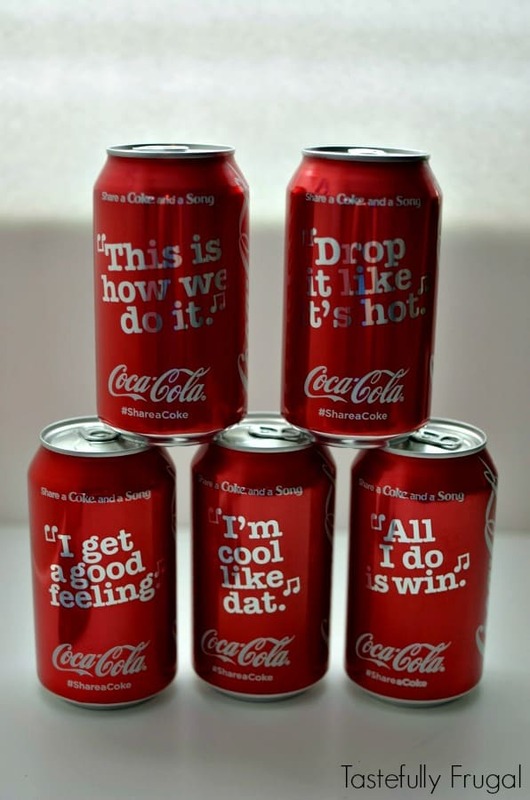 So I was super excited to see that Coca-Cola added some of my favorite song lyrics to their cans this summer on their Share A Song cans. It’s like back when we were kids and used to search all the Tootsie Pop wrappers looking for the star; I’m that crazy person searching all the bottles at the store to find my favorite lyrics. 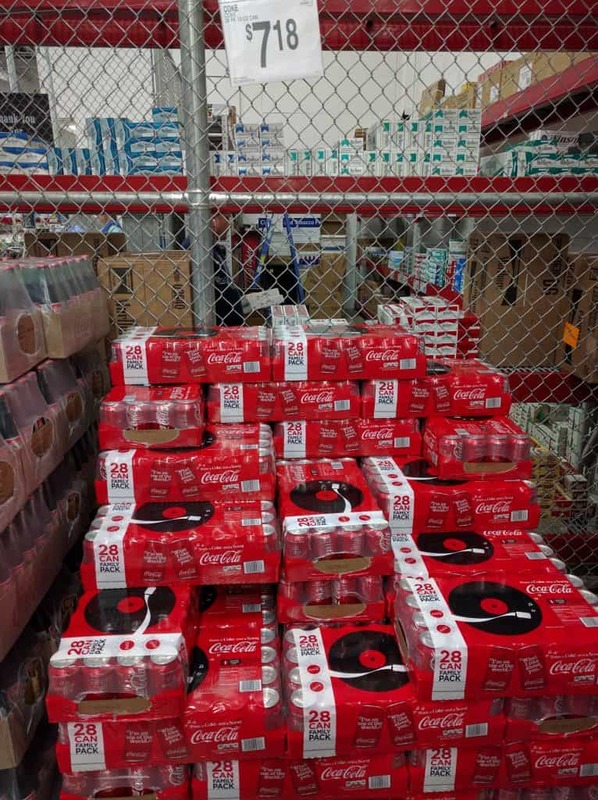 I was ecstatic when I saw these 28 packs at Sam’s Club when I was there last weekend; now I didn’t have to dig through all the bottles! We are planning a road trip next weekend to celebrate my best friend’s son’s birthday and I wanted something that would keep all those cans cold. That’s when I remembered the Monogram Can Koozies I made for teacher gifts earlier this year and knew they would be perfect for keeping our drinks cool in the car too. 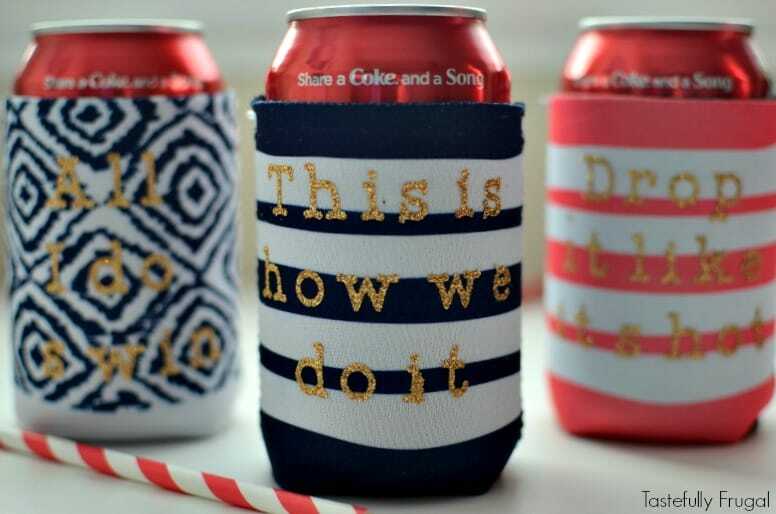 But this time instead of monograms I picked a few of my favorite lyrics and put them on the koozies. They were so easy to make and now not only would our drinks stay cool but we could also tell them apart from each other. Click here to open lyric designs. 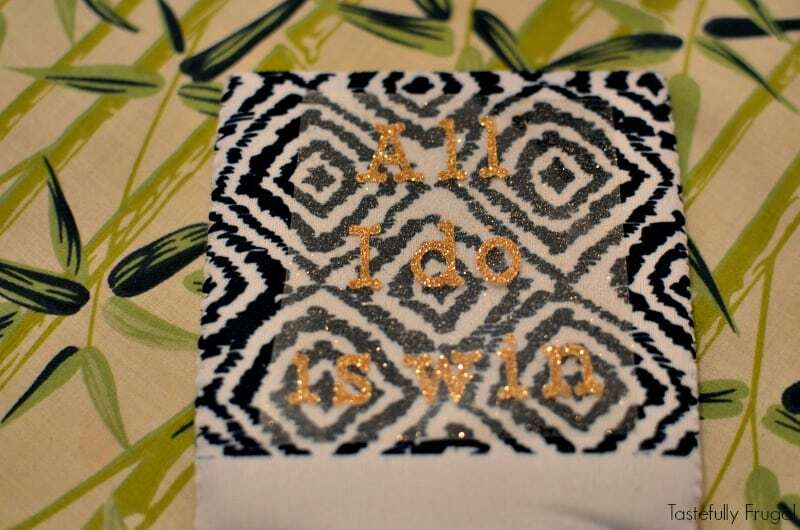 Cut out lyrics on iron-on vinyl (I used gold glitter). 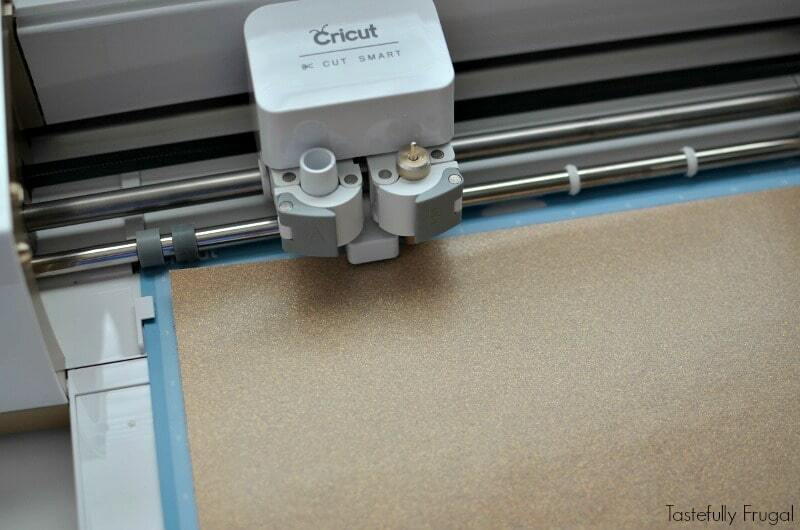 Use your scissors to cut the area your lyrics are printed on and use your pick tool to pull the backing off the vinyl. 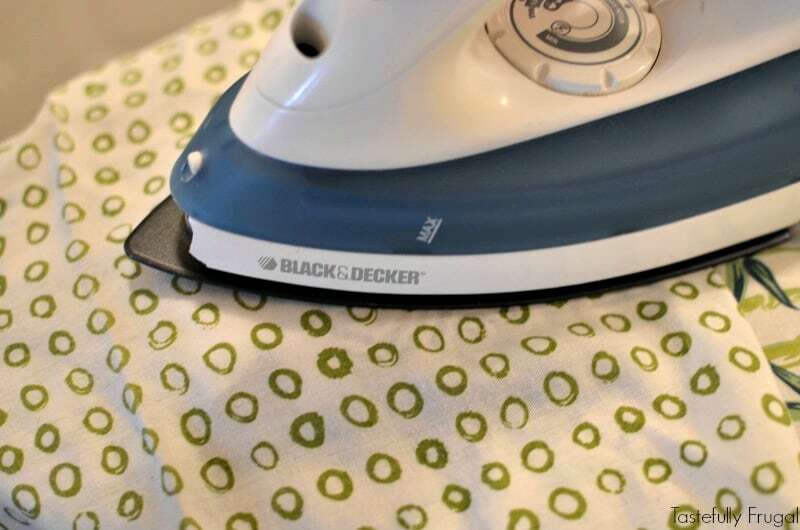 Heat your iron to the hottest setting. 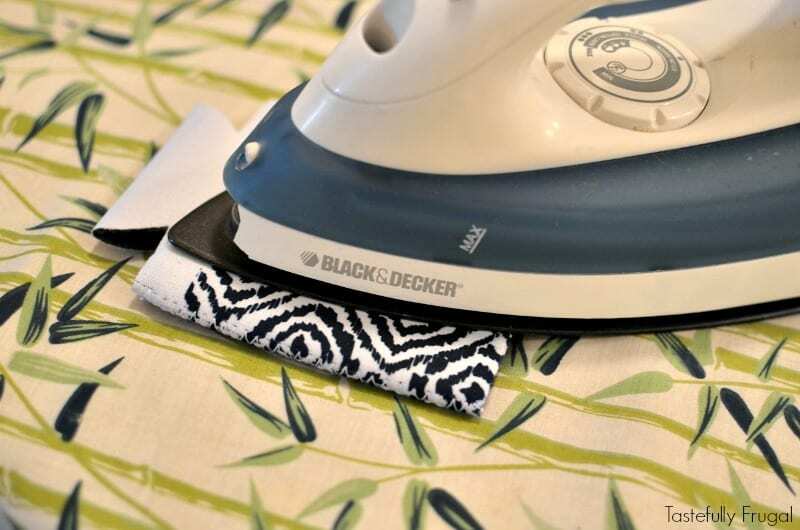 Heat up your koozies with the iron before you add your vinyl. 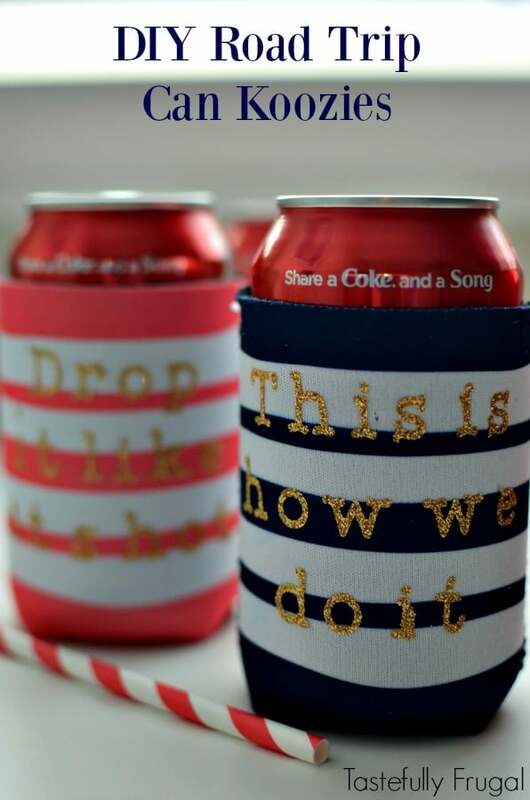 Position vinyl where you want it on koozie and use the old pillowcase as a buffer between the iron and koozie. 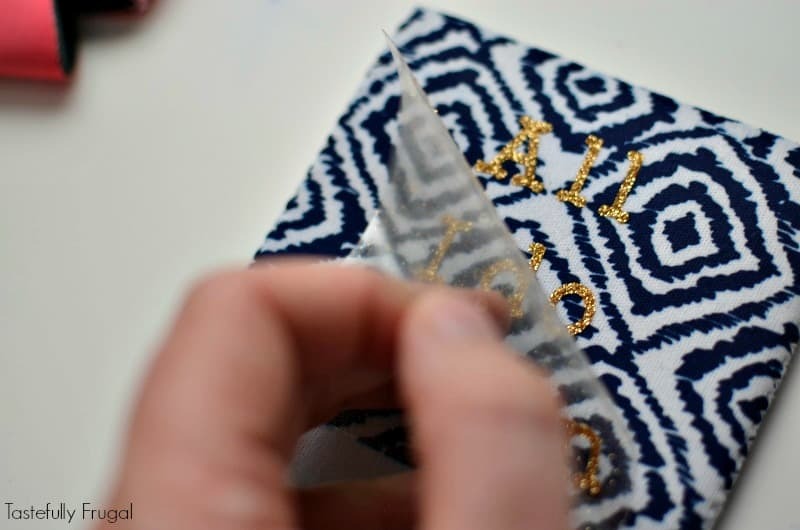 Run iron over koozie for 30-40 seconds to make sure the vinyl is attached. Slowly pull plastic away at a 90° angle. 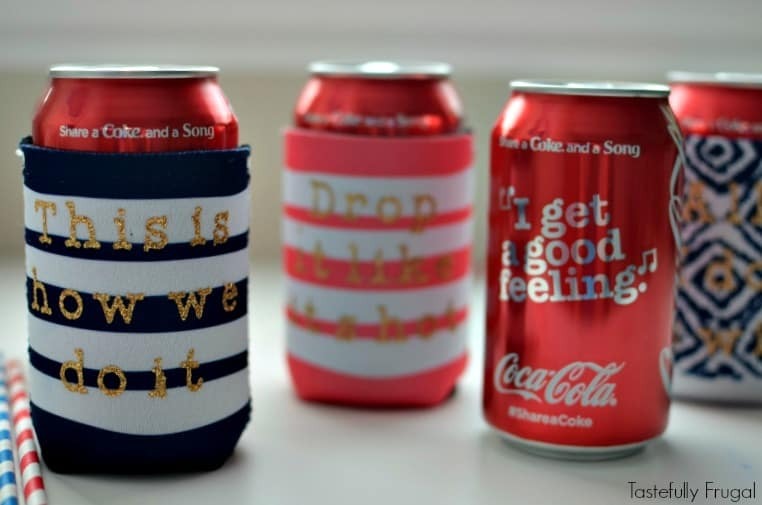 I love how these turned out and every time I see them (or any of the Coke cans for that matter) I always bust into song. What song brings back the best memories for you? 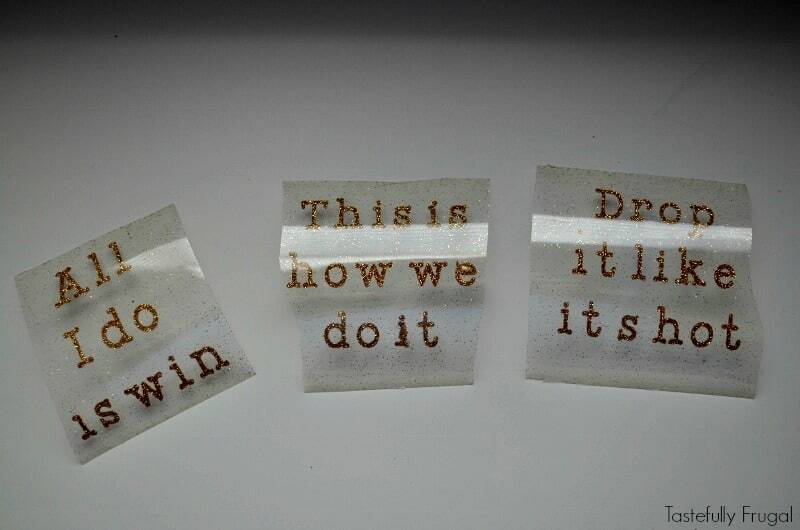 Keep your eyes open for the Share A Song cans to see if your lyrics are on there too! These turned out so cute and are the perfect fun and functional thing to have for a road trip! Love this! 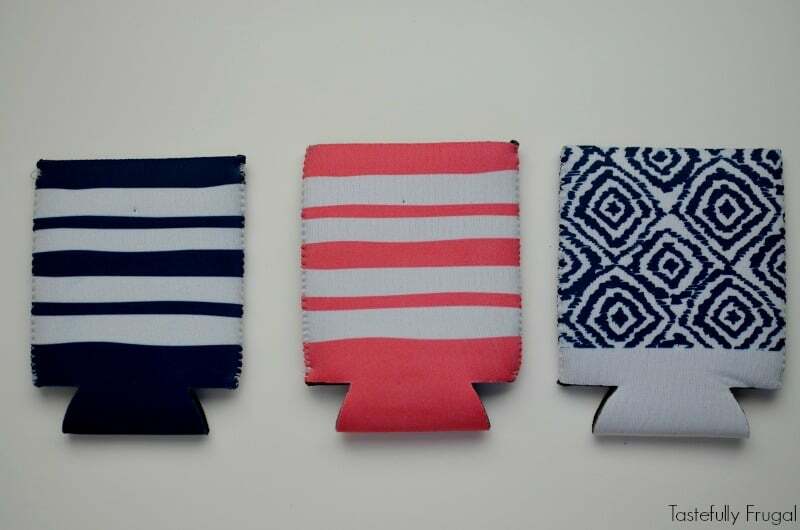 Where did you find those adorable patterned can koozies?